I try to log in but see that the user is frozen. What do I do? On the advinda Login Page you can login by entering the email and password you used for your registration. If your email/password combination was correct, you will be logged in if it was wrong you will receive an error message. If you receive an email that seems to come from the advinda system that you did not expect, do not hesitate to contact support@advinda.com or give us a call with any questions. The advinda team will never ask for your password information neither by phone nor by email. Keep your password information secure and do not share it with anybody else. The advinda mobile apps do not have an option to Signup. 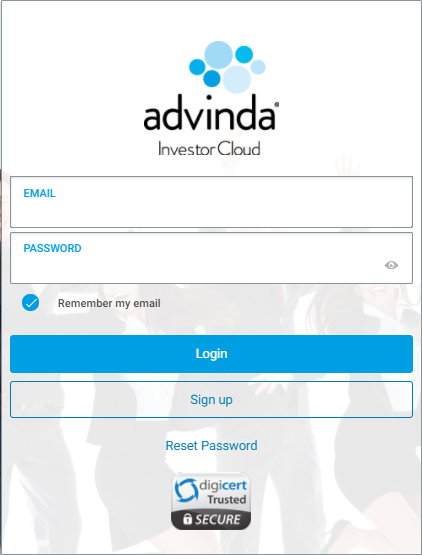 In Order to Login you need to Signup using the web version of advinda. Once you created your advinda account you will we able to use our mobile apps. 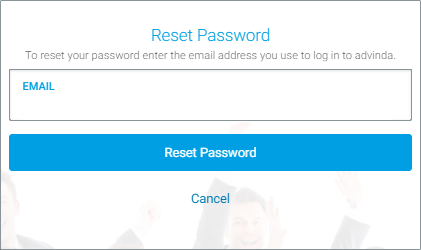 In case you forgot your password, click “Reset Password”. You will be directed to a page where you can reset you current password. Please enter the email address you used for registration and click “Reset password”. You will shortly receive an email including instructions on how to reset your password.